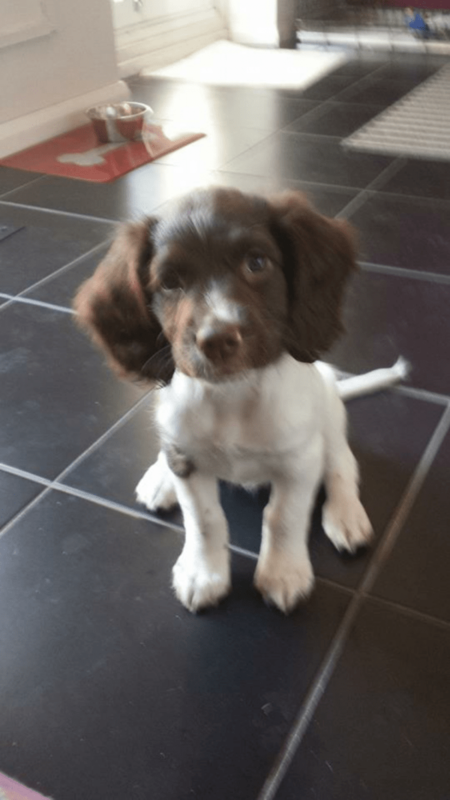 On 16th March 2014, I picked up a 8 week old English Springer Spaniel and my life changed. This amazing four-legged ball of fur was soon named Millie and it was very easy to fall in love with her . Whilst I’d grown up in a family who always had both cats and dogs, at just 8 weeks old, I was a little nervous taking on responsibility for training and looking after her needs. 2 years on and she’s responsible for the founding of Millie’s Beach Huts, my recent discovery (and love) of Canicross, one pair of chewed shoes and too many tennis ball purchases to mention! 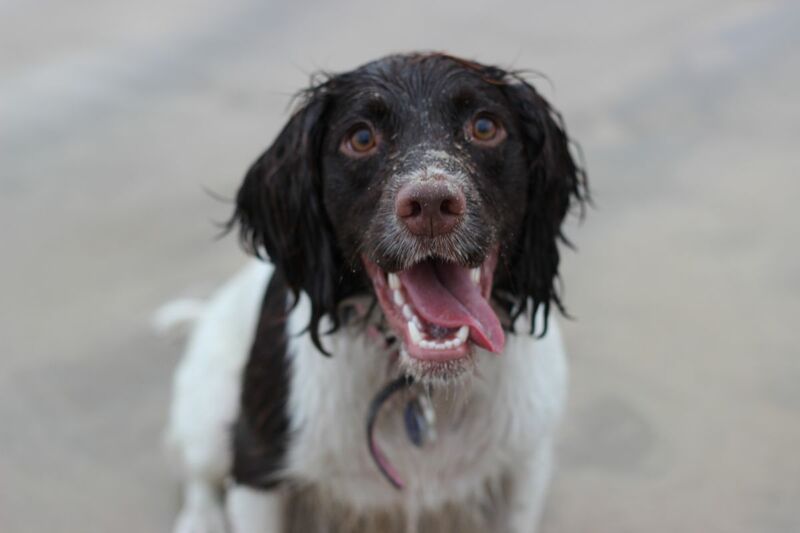 Some of you have met the four-legged Millie when visiting the beach huts and as she has been dominating our Instagram feed this weekend, I wondered how much you know about English Springer Spaniels? Unless you have one or have another member of the Spaniel family, you might not be aware of their amazing traits and facts about them. #1 Spaniels were considered dogs that flushed out game, sometimes actually causing the game to “spring”. They live up to their name and I frequently spot Millie ‘springing’ through the woods and chasing birds …. be prepared for lots of recall training but it does make me smile! #2 The Kennel Club first recognised the breed in 1902, though it’s origins can be traced back as far as the 17th Century, when the Land Spaniel is referred to as being as being divided into the Crouching Spaniel and the Springing Spaniel with a later subdivision of the Springer Spaniel into two sizes – the smaller of the two being called the Cocking Spaniel. 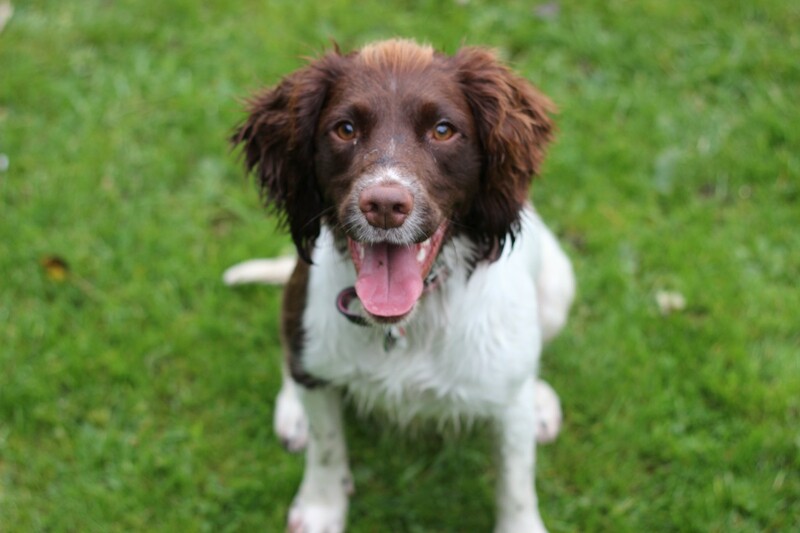 #3 The English Springer Spaniel ranks consistently in the Top 3 most popular registered dog breeds in the UK. #4 English Springer Spaniels have a great lifespan from around 12-14 years. #5 Most spaniels have a retrieving urge, and the English springer spaniel is no exception. 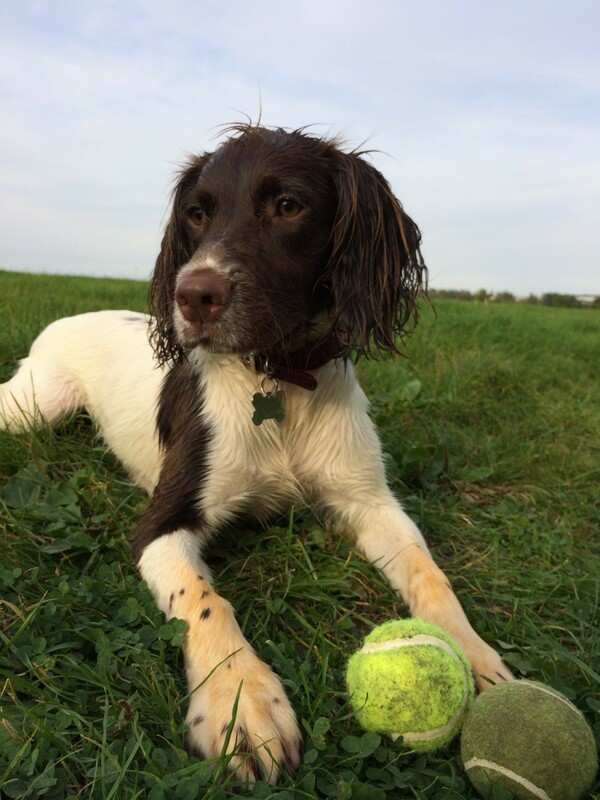 Millie is particularly obsessed with balls and sticks – invest in some used tennis balls via ebay and you have hours of fun ahead of you (and great to use as a reward in training!). #6 English Springer Spaniels are very intelligent dogs and extremely active. Be prepared to increase your activity levels and spend upwards of 2 hours daily exercising your spaniel. Boredom can lead to destructiveness – this is not a breed that enjoys a sedentary lifestyle or to be left alone. They are at their happiest when working with their owners. #7 The good news is that whilst English Springer Spaniels are active, they are highly sociable both with other dogs and people (including children). Due to their loyal nature, they may develop a protective bark but I’m afraid they aren’t an ideal guard dog as their friendly and happy personality will kick in and they are more likely to give any Burglar a big lick! #8 If you were to put two English Springer Spaniels next to each other, they can look very different. That’s due to breeding where some dogs are bred to work in the field while others are bred primarily to be show dogs. 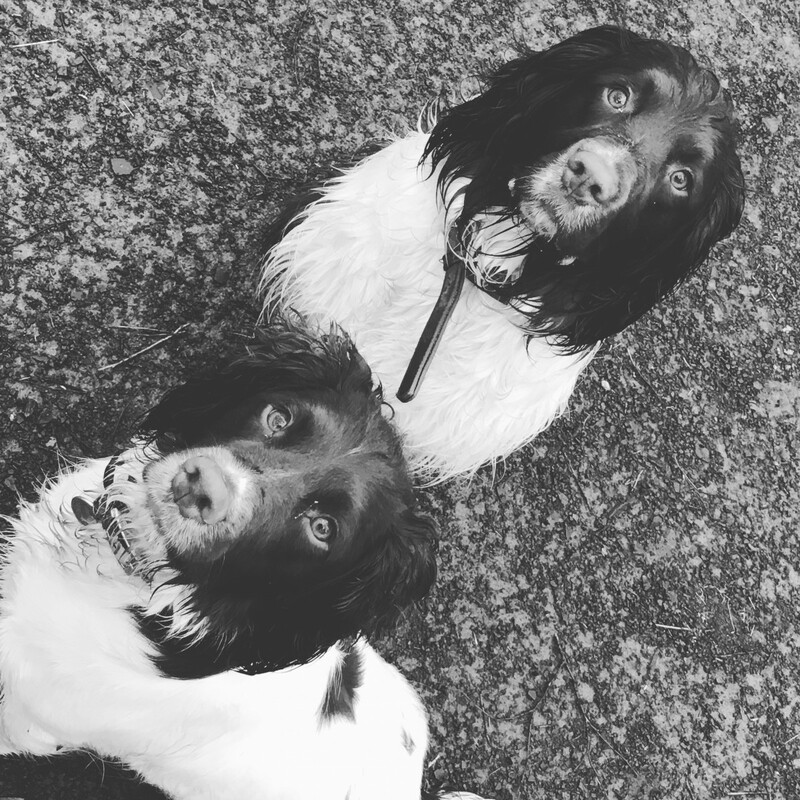 You can see this clearly with Millie (left) and Harley (right) below who are from the same litter but clearly have inherited their build from the opposite parents (mum is a working springer spaniel and dad a show springer spaniel). #9 English Springer Spaniels are excellent trackers and now a preferred breed for the Police Service trained specially to search for drugs, explosives, and guns. Hide some treats and play one of Millie’s favourite games. #10 English Springer Spaniels are known for their LOVE of water. Most enjoy a trip to a beach or lake, however they are a little obsessed with it and enjoy getting into puddles and water bowls just as much. 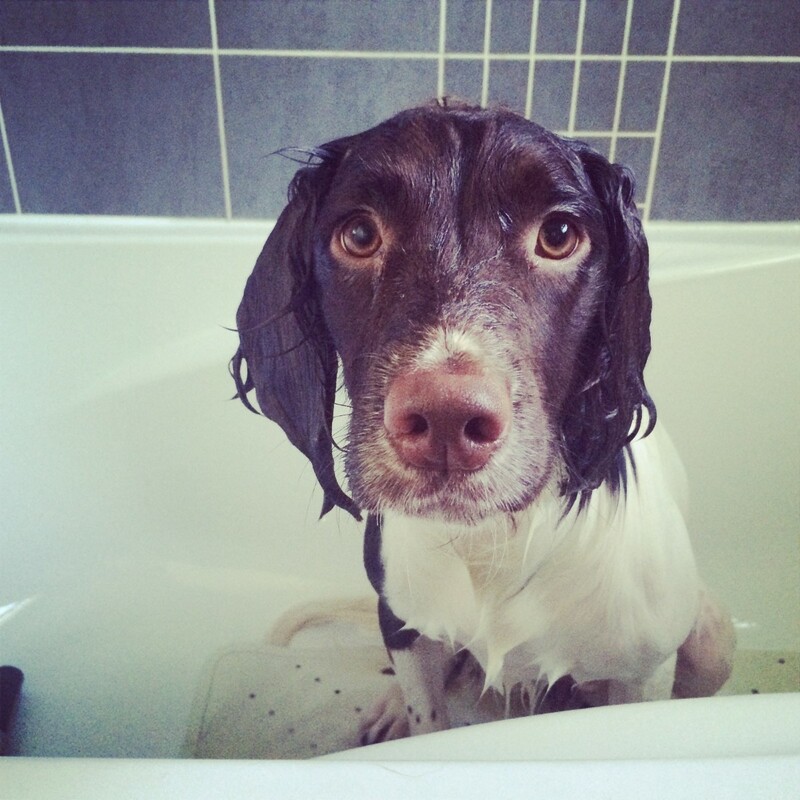 Be prepared for mud and water to be tracked through the house and for lots of doggy baths!! This is not a dainty breed, nor one for very proud housekeepers. Millie looks forward to meeting them! 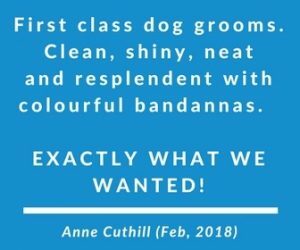 Looking for a Dog Photographer in Angus?